← Who can help me translate the Russian in pdf file? 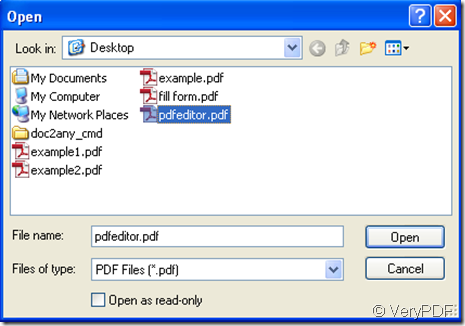 How to copy bookmark from a PDF file to another PDF file with VeryPDF PDF Editor? Some PDF files contain a bookmark, if you need the bookmark and want to take it to another PDF file, how should you do? It’s no possibility to edit it one by one, because sometimes the content of the bookmark is too much. 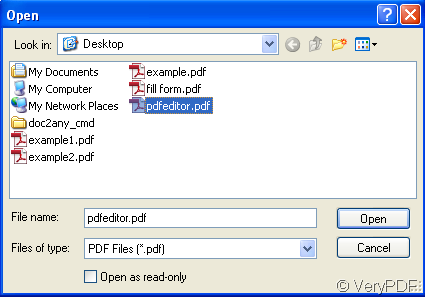 Now by use of VeryPDF PDF Editor you can fulfill the work easily. By the way I tell you how to open the navigation pane, when you open VeryPDF PDF Editor in its lower left corner there is a choice button, click it. 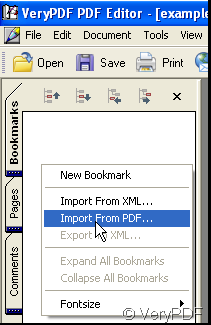 After that in the left side of VeryPDF PDF editor there are three options appear, click the Bookmark option. Thus the navigation pane is opened. Next I continue the unaccomplished topic. After choose Import From PDF a window pops out where find the PDF file that whose bookmark you want to copy, then click Open. Thus the bookmark is added to your desired PDF file. 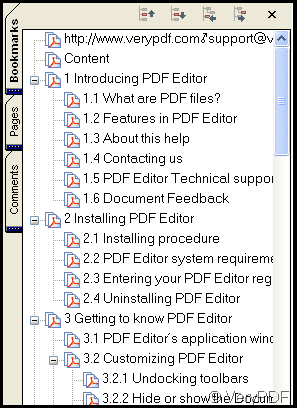 How can I use “bookmark2” option in PDF Split-Merge GUI application? How to add a bookmark and use it in a pdf file by use of verypdf pdf editor? Can I add a circle-shaped comment to my pdf file? This entry was posted in PDF Editor and tagged pdf bookmark. Bookmark the permalink.